Choosing a beneficiary for your life insurance policy is a big deal, do you know how to properly choose one? Many people purchase life insurance to financially provide the people we love with some cushion should they pass away. As a result, picking the right beneficiaries is a crucial part of the process. How important is it? Well, if you pick the wrong beneficiary you can make the benefit payment process a messy legal battle for your family–something they surely won’t want to deal with after your passing. How do you avoid making this mistake? 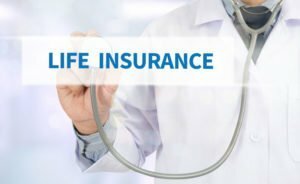 Here are a few tips that could help you when purchasing life insurance. People make the common mistake of simply writing “my spouse” or “my children” as their life insurance beneficiaries. Don’t be that person. Go out of your way to include the individual names and other needed details of anyone you want to be a beneficiary. The “other needed details” of the aforementioned section above include things like Social Security numbers, dates of birth, phone numbers, and their current addresses. Doing this work now will make it easier for your insurance company to track these people down after you pass away. Let’s say you name your eldest child your main beneficiary and expect him or her to divide the payment equally among their siblings. After you pass, there is nothing legally holding them from keeping the whole amount. If you have three children and want them to get an equal share of your death benefit payment, name all three of them with equal amounts. Don’t wait to contact Pierce Insurance Group in McKinney, Texas! We can help you get the right life insurance policy to protect your wallet in the present and your loved ones in the future.